Dry wine produced in American oak butts through oxidative ageing. The basic Palomino grape must is fortified up to 18% of alcohol. From this moment it will start ageing in 500 litre American oak butts through a process of oxidation. Throughout the ageing, the wine will constantly be exposed to the air and the slow action of the oxygen in the system of criaderas and soleras. The slow evaporation of water from the wine during the 15 years of ageing will aid a process of concentration. This will encourage the wine to acquire the typical structure and complexity of the Oloroso. To the senses: mahogany, warm, persistent, structured. 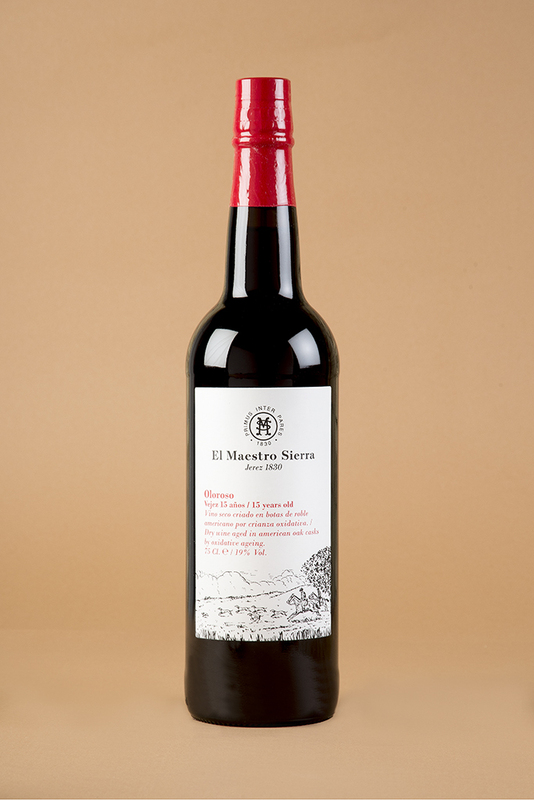 For El Maestro, it goes with… intense red meats.